The Messerschmitt KR200 is what happens when an aircraft company can’t make planes so they create a “bubble” car similar to the BMW Isetta and other post World War II German vehicles. Truth be told the Messerschmitt is not a vehicle that I’ve paid a lot of attention too, I’ve just gleaned a bit of information here or there about them watching random car shows on Velocity or Speed when it was still around. 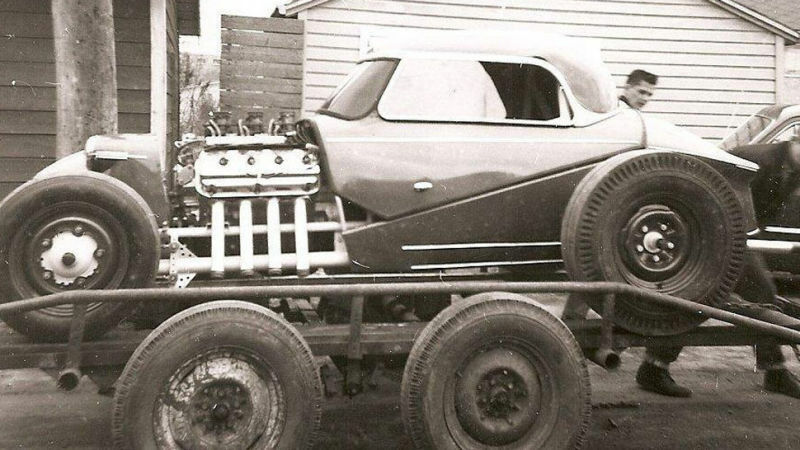 Usually cars that fall in that category don’t make it here on the site, however, big motor-small package-odd car is a WTF Friday recipe for success. 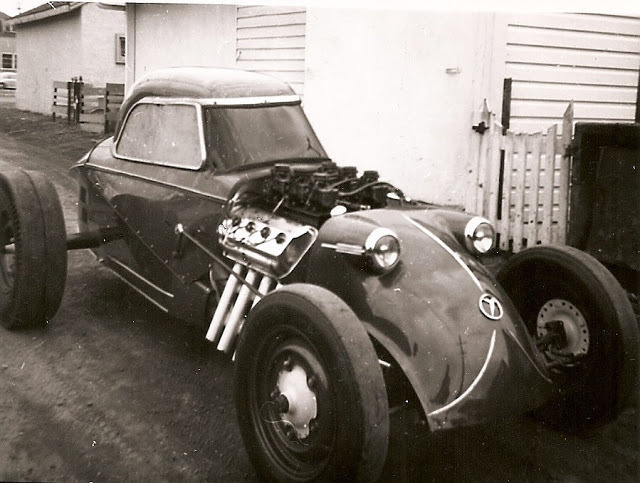 Information about this car is sparse at best, but, I have no doubt WTF was uttered when the Allison and Sherman drag race rolled this Messerschmitt up to the line and then subsequently left the competition in the dust. Folklore has it this car blew up but maybe, just maybe, it is in a barn somewhere waiting to be found. Via Just a Car Guy and Jalopnik. Why…. WHY did I Google Messerschmitt KR200 to find out what the base looked like?! My retina’s are scorched beyond belief! My dad, Bill Sherman, is the guy on the right in the photo. They ran in A-Altered and later fit a 6-71 Blower to the 392 Hemi. They did have an incident in their last race where the clutch exploded and a spectator lost an eye. The car is still around. Amazing! Is it in running condition still? Scott, what color was the car? I’d like to build a scale replica of it. The car was red. There are lots of pictures of it out there (some I’ve never seen before).